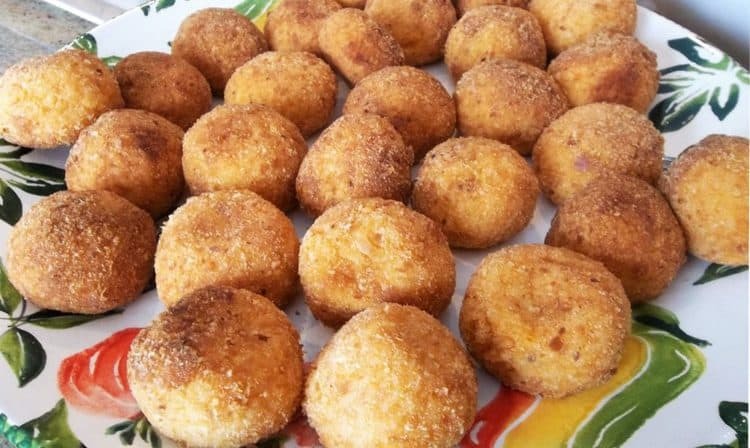 Sicilian Arancini, or rice balls, are probably the most recognized Sicilian food throughout the world. They are typically served as a snack or street food throughout Sicily. Drumroll please… yes, these are the BEST Sicilian arancini! They are indeed my favorite food in the world, next to potato gnocchi that is. I’ve been enjoying these golden morsels all my life and it was time for me to learn how to make them and share the recipe with you. By the way, arancini means “little oranges” in Italian in reference to their shape and color. A recipe handed down through generations…or was it? This could not be further from the truth! Imagine my disappointment when I found out that they never made arancini in the home town. My mother once saw them at a train station in Sicily. She only learned of arancini about ten years after she had arrived in Canada when a friend of my aunt’s gave her the recipe. And she probably wasn’t even Sicilian. Oh, the deception! After I got over this I realized that, of course, it made sense. Each region of Italy is known for it’s local specialties, in fact practically each town has it’s own signature dishes. So it would not be surprising that although arancini were available in certain parts of Sicily, in an era without television, radio, computers or internet (horrors!) the people in that small hilltop town with a then population of less than 10 000 would not have known of arancini. I also found out that in this same town they had never heard of pizza! But that’s another story. 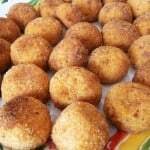 Arancini are a common street food in Sicily sold in bars and cafes. The typical filling is the traditional meat sauce with peas, however today you’ll find several enticing variations served all over Sicily. Some of the most interesting ones I recall include: pistachio; swordfish; shrimp; eggplant; spicy ‘nduja sausage and prosciutto and cheese. I’ve also come across chocolate arancini! In my recipe, further below, I included a spinach and mozzarella variation that we enjoy at our house. Arborio rice is required to make arancini. This is the same short-grain rice that is used to make risotto. Arborio rice contains more starch than long grain rice, therefore resulting in a creamier texture. It also makes it easier to hold together when you shape the arancini. The first step is to cook the arborio rice. For extra flavor, we cook the rice in chicken broth. The rice can also be cooked the day prior to making arancini and refrigerated. Once cooled, eggs and a mixture of parmigiano and pecorino romano cheeses are stirred in. Meanwhile, prepare a basic meat sauce with peas added as instructed in the recipe below. 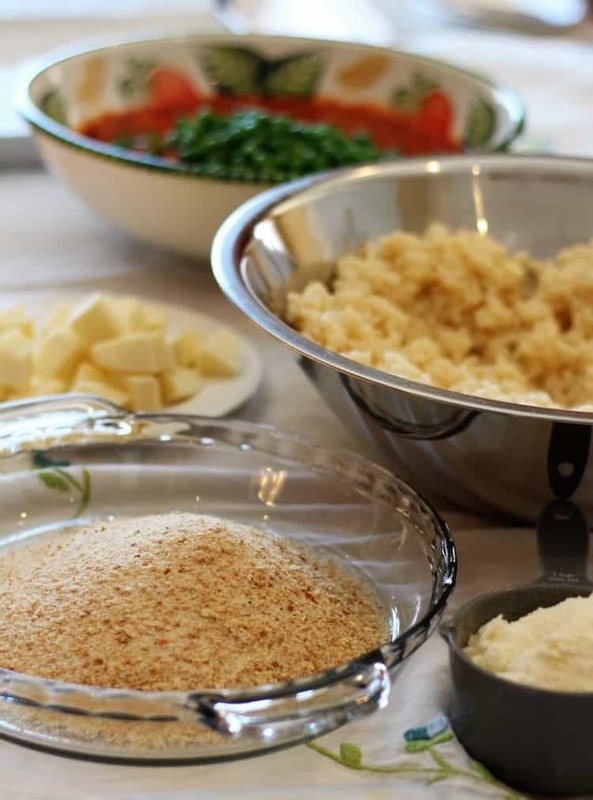 Once these two ingredients are prepared, you are ready to assemble your arancini. The best strategy is to have all the ingredients in dishes or bowls forming an assembly line. Use a 1/2 cup measuring cup to scoop rice into your hand and shape into a ball. Make an indentation with your thumb in the centre of the rice ball and add meat sauce. Close the rice around the filling and roll into a ball. Once I have shaped all the arancini, I dredge them in an egg wash and roll in the breadcrumbs. At this point, you can set them aside in the fridge and fry just before serving. I have also prepared them until this point the day prior to frying. My mother always uses a heavy bottomed pot for frying, as shown below. If you have a deep fryer, you can use that as well. The oil must be very hot for frying, but how do you know when it’s hot enough? Here’s a cool trick that my mother taught me and never fails! Place the handle of a wooden spoon in the hot oil. If the oil immediately begins to bubble vigorously around the handle, the oil is hot enough for frying. Carefully place the arancini in the oil without crowding them. We usually place 7 or 8 at a time but this will vary according to the size of your pot. When they are golden, about 3-4 minutes, remove without a slotted spoon allowing excess oil to drip. Place on a paper towel covered sheet pan or tray. You’re now ready to enjoy your arancini! 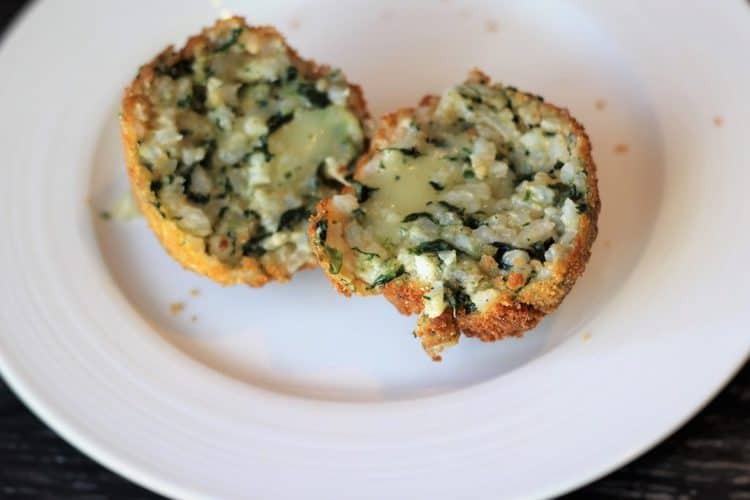 Following the same method for traditional arancini, stir in 150 grams defrosted frozen spinach leaves (squeeze out excess water), 1/2 cup grated parmesan/pecorino cheese and 1 egg for each 250 grams cooked rice mixture. This represents one quarter of the recipe above. Add 1 inch cube of mozzarella in the centre of each arancini instead of sauce mixture. Proceed as outlined above. Cook the rice the day before, cool and refrigerate. Prepare your meat sauce a day or two in advance and refrigerate. You can also prepare a batch, divide into portions and freeze for future use. The assembled arancini can be refrigerated and fried the following day. You’ll probably have leftover meat sauce after you have filled the arancini. No problem, you can serve it with pasta or rice another day! 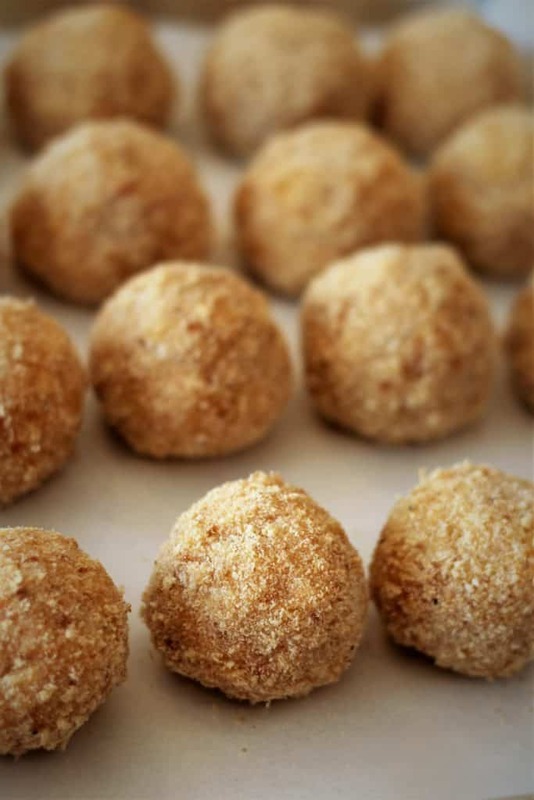 Leftover arancini can be refrigerated for up to 3 days and reheated in a 350F oven for about 10 minutes. Fried arancini can be frozen up to a month. Thaw and warm in a 350F oven for 10-15 minutes. 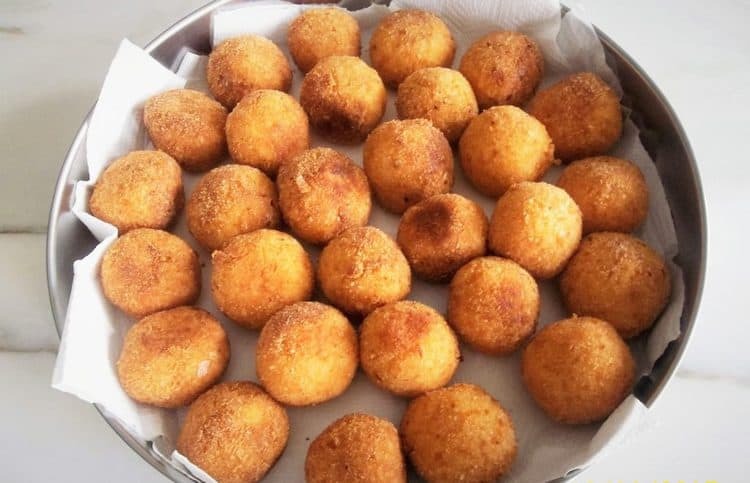 My mother also usually makes unusually large amounts of arancini because she has to have enough to divide amongst her children and grandchildren. On this particular day we made 95 arancini! The recipe I’m giving you today is for half that amount. But you may wish to halve it further if you’re attempting this for the first time. You can also include the kids in the process, particularly in shaping the arancini and rolling them in the breadcrumbs. A freshly fried batch of arancini will consist of my appetizer, entrée and main dish. Especially when they come out of the fryer: golden and crispy on the outside and soft, moist and cheesy on the inside. If you love arancini as much as I do please let me know by tagging me with #mangiabedda or @mangiabedda on Facebook or Instagram. Don’t forget to pin the recipe on Pinterest as well! Buon appetito! This popular Sicilian street food is a family favourite. A crispy breaded coating, cheesy rice with a savoury meat sauce and peas filling, what's not to love! Bring the chicken stock to a boil and add the rice. Bring to a simmer and cook, covered, for about 20 minutes, until the broth is absorbed. After the rice is cooked, pour into a large shallow dish or pan and allow to cool. Once cooled, stir in the grated cheese and the eggs. Mix well. In a large sauce pan, on medium heat sauté the onion, garlic and mushrooms in the olive oil. Add the ground meat and brown, stirring frequently. Add the wine and cook for 1 minute until it evaporates. Pour in the diced tomatoes and bring to a boil. Lower the heat, cover loosely with the lid and simmer for 1 hour until the sauce has thickened. Add salt and pepper to taste. In the last 10 minutes of cooking, stir in the peas. In a deep, heavy bottomed dutch oven, large enough to contain 7-8 arancini, add 2 litres of vegetable oil. Prepare two shallow bowls with the breadcrumbs in one and the beaten eggs in the other. Transfer the prepared sauce to a bowl. Now you are ready to assemble your arancini. Using a 1/2 cup measuring cup, scoop the rice into your hand and shape into a ball. Make an indentation in the centre of the rice ball with your thumb and add about 2 teaspoons of meat sauce. Close the rice mixture around the meat and shape into a ball. Dredge in the egg wash and then roll in the breadcrumbs. 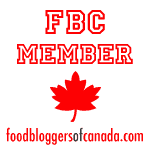 It is recommended that you prepare all of your arancini and have them ready for frying. 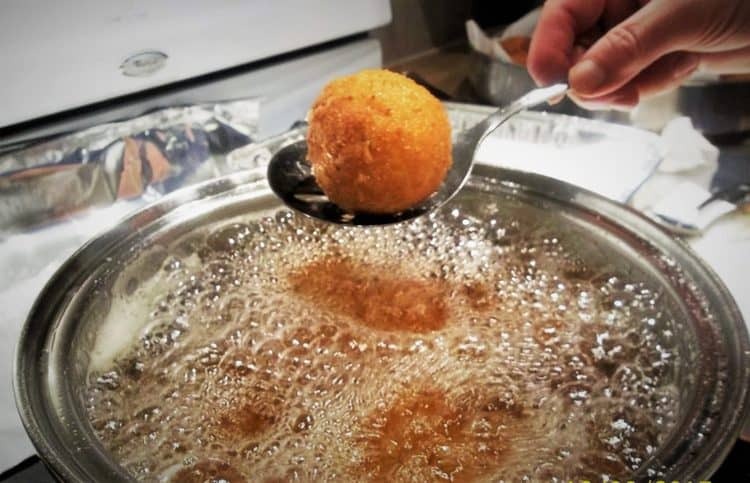 In order to check if your oil is hot enough (if not using a deep fryer) place the handle of a wooden spoon in the pot and if the oil begins to bubble and fry around the handle, it is ready for your arancini. Fry 7 or 8 arancini at a time until they are golden brown, about 4-5 minutes. Transfer to a dish lined with paper towels to absorb extra oil. Serve hot. You'll probably have leftover meat sauce after you have filled the arancini. No problem, you can serve it with pasta or rice another day! To verify if the oil is hot enough for frying, place the handle of a wooden spoon in the hot oil. If the oil immediately begins to bubble vigorously around the handle, the oil is hot enough for frying. Finally, we get the right measurements!! Delicious!! My mother was from Palermo where arancini are a street food. When she would make them for us, it was a time to celebrate as the whole family loved them. Unfortunately, I never documented her recipe although I helped her make them many times. So now I make them using my interpretation of my mother's recipe.Thanks for sharing your mother's recipe. It's so important to document family recipes for future generations.